At 1st Class Access Control we maintain, install, and repair all brands of electronic gates and phone entry systems in Alta Dena, CA. We have over 20 years of experience working on commercial, industrial and residential electronic gates and entry systems. We specialize in problem solving so you don’t have to. We can help design the perfect system for your location whether you’re a residential or commercial customer. At 1st Class Access Control we keep up on all of the latest industry technologies. We offer 24/7 emergency service to all our customers in Altadena, CA. We have a strong reputation of professional and courteous customer service. 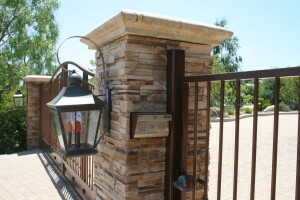 In addition to electronic Gates in Altadena, CA and phone entry systems, we off a wide variety of entry system products. 1st Class Access Control offers Overhead Doors in Altadena for residential and commercial use. Choose from the many styles and construction types that satisfy your personal taste and set you apart from other homes or businesses. Unsure of what design you need or want? Our Team can help you decide on all your design and function concerns. The stylish Overhead Doors are also durable and reliable which make them perfect for your daily use. With 1st Class Access Control you can install Overhead Doors in Altadena at a reasonable price by giving us a call at 805-955-9230. We have over 20 years of experience and have always delivered high quality work and products. 1st Class Access Control Offers Custom Gate Repair in Altadena. If your gate is not operating properly We will come out and diagnose your problem and we will work hard to get your gate working like new again. Gates need maintenance and repair from time to time due to many factors including weather, usage, and age. 1st Class Access Control is proud to offer some of the best technicians in the industry with the knowledge and experience you need when getting your gate repaired. In addition we offer many custom Gate designs if you’re looking to replace an old gate. If you’re looking for swing gate repair, sliding gate repair, or pedestrian gate repair in Alta dena 1st Class Access Control can help get your gate working great again. Call us today at 805-955-9230 to schedule your appointment. We also offer 24 hour emergency service! 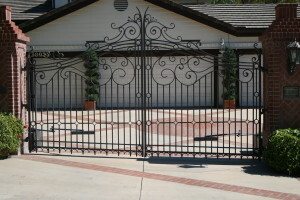 1st Class Access Control Offers Custom Gate Repair in Altadena. If your gate is not operating properly We will come out and diagnose your problem and we will work hard to get your gate working like new again. Gates need maintenance and repair from time to time due to many factors including weather, usage, and age. 1st Class Access Control is proud to offer some of the best technicians in the industry with the knowledge and experience you need when getting your gate repaired. In addition we offer many custom Gate designs if you’re looking to replace an old gate. If you’re looking for swing gate repair, sliding gate repair, or pedestrian gate repair in Altadena 1st Class Access Control can help get your gate working great again. Call us today at 805-955-9230 to schedule your appointment. We also offer 24 hour emergency service! From choosing the type of custom garage door, to the top section design, to the hardware you envision 1st Class Access Control is here to make your dream a reality! 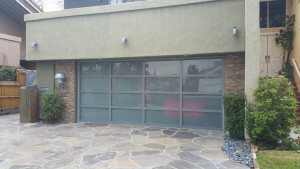 When your looking for garage doors in Altadena, CA 1st Class Access Control has the experience, brands, styles, and experience you need to find the garage door your invisioning. We at 1st Class Access Control understand that your time is valuable, so we strive to offer prompt and professional service to all our customers in Altadena, CA.